This is an innovative and original socio-cultural study of the history of electricity during the late Victorian and Edwardian periods. Gooday shows how technology, authority and gender interacted in pre-World War I Britain. 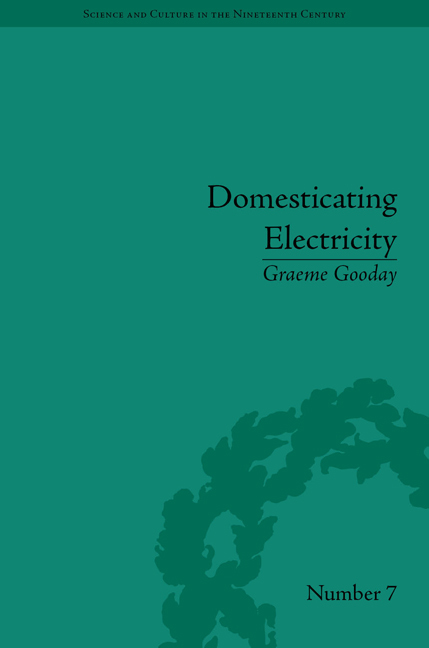 The rapid take-up of electrical light and domestic appliances on both sides of the Atlantic had a wide-ranging effect on consumer habits and the division of labour within the home. Electricity was viewed by non-experts as a potential threat to domestic order and welfare. This broadly interdisciplinary study relates to a website developed by the author on the history of electricity.